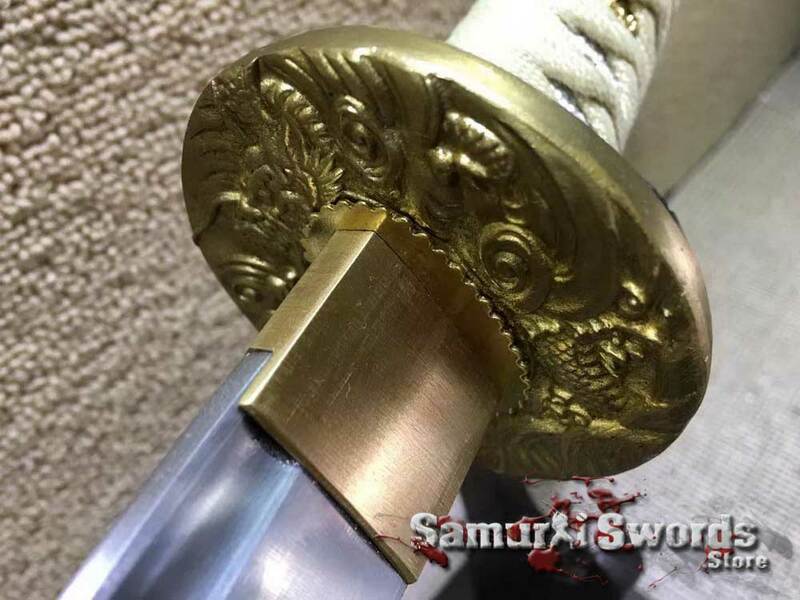 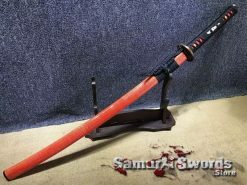 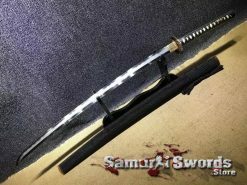 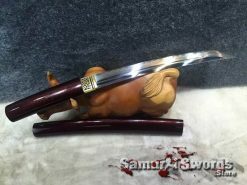 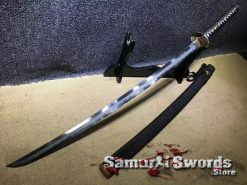 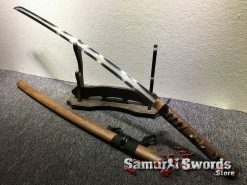 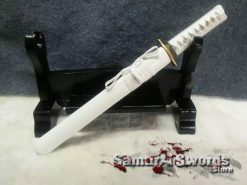 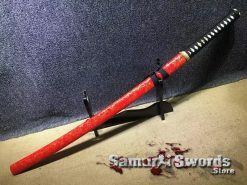 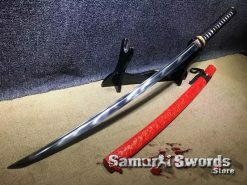 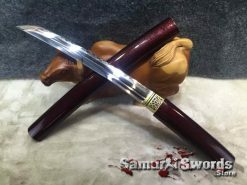 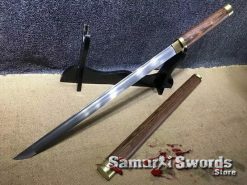 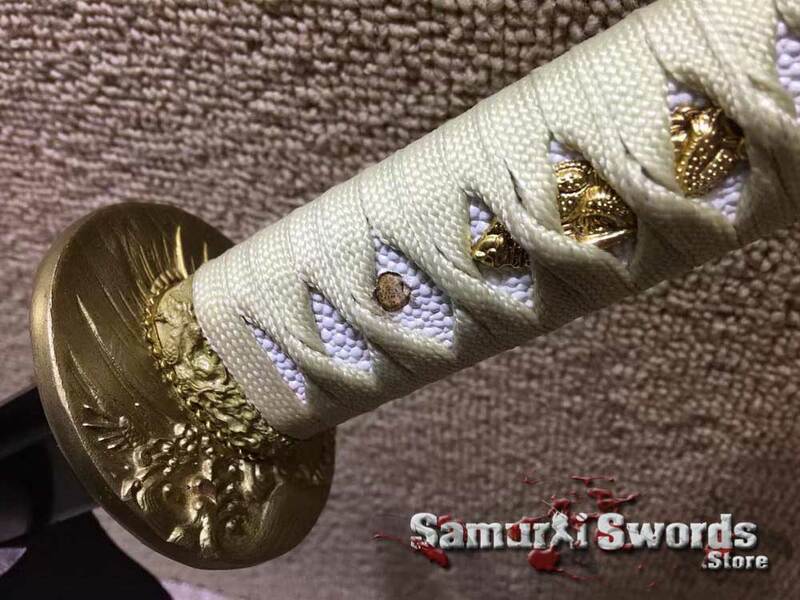 This is a samurai Katana that has been adequately sharpened to make it a fully functional piece, allowing you to utilize it for practice right after purchase. 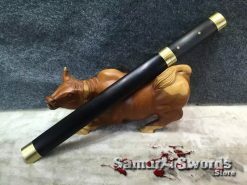 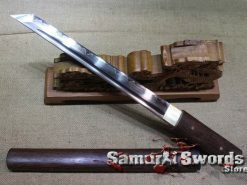 It is made from 9260 spring steel which can be easily twist, bend, and return to its original form. 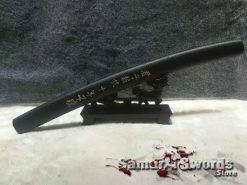 The 9260 Spring steel has high shock absorption and its an excellent compromise between flexibility and hardness. 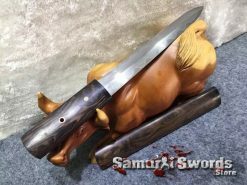 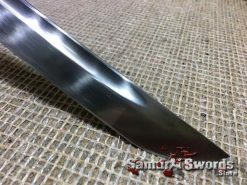 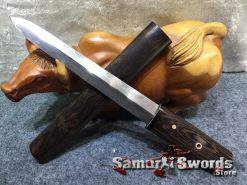 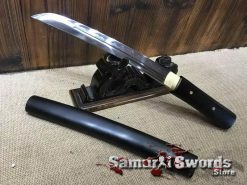 The sword is full tang and features a single Bo-hi which helps reduce the weight of the blade and provides perfect balanced. The blade length of this Katana is 72 centimeters, while the handle is 27 centimeters, making it 99 centimeters in total, with blade of 3.2 centimeters; the total weight of this sword is 1.51 kilograms. 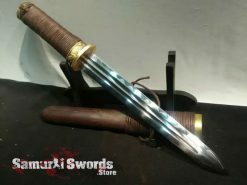 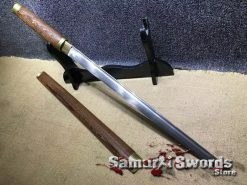 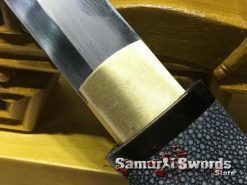 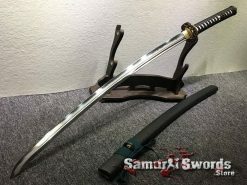 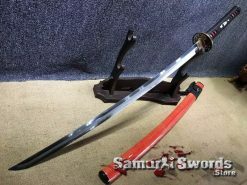 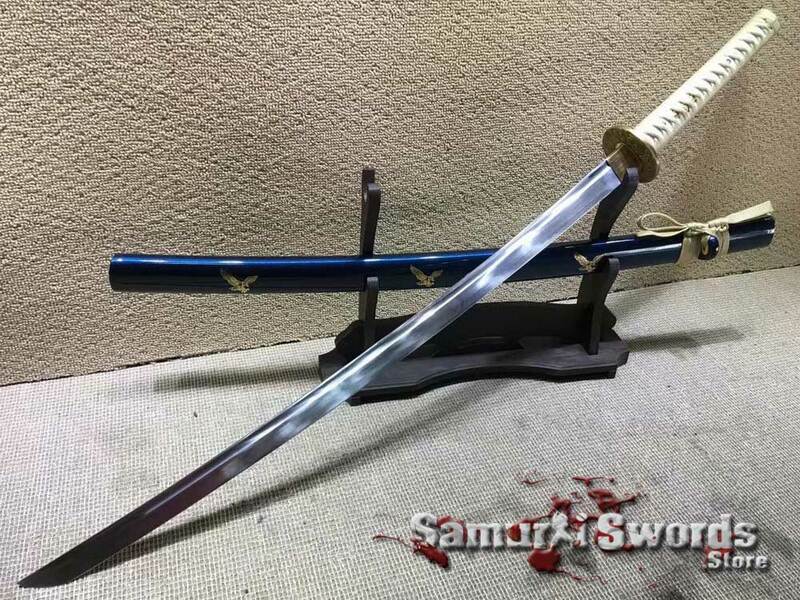 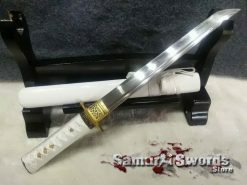 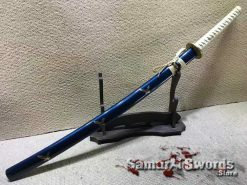 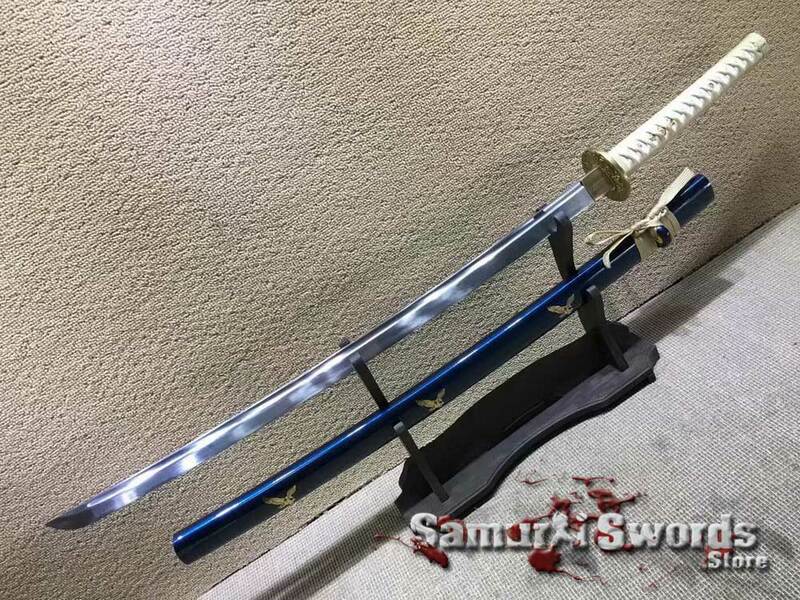 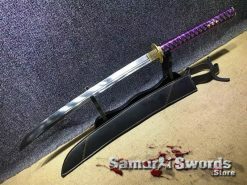 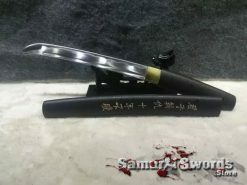 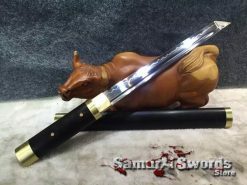 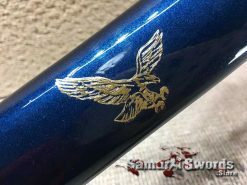 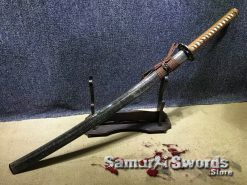 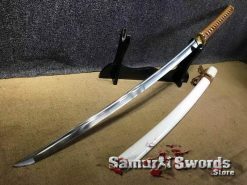 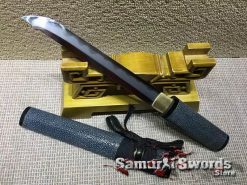 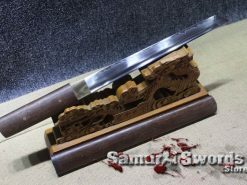 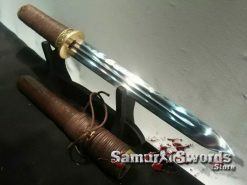 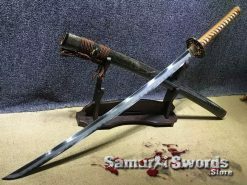 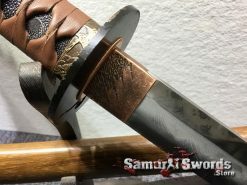 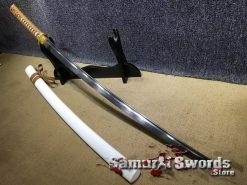 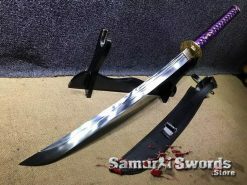 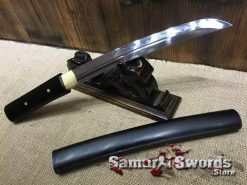 Aside from its functionality and durability, this Katana also has its own appealing beauty: its sturdy dark blue saya displays a beautiful gold inscription on it which makes the sword appear sleek and elegant. It has white ray skin that covers the tsuka, while a light gold ito wrap is bound over the samegawa  each of these blending perfectly together with the brass menuki that fashions the traditional wrap from both sides. 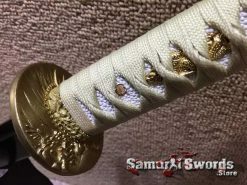 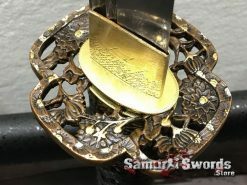 The fuchi and tsuba are also made of brass and matches the overall appearance of the sword while its kashira (pommel) is made from metal; additionally, you will receive this sword with a silk sword bag where you can keep it safe when not in use.